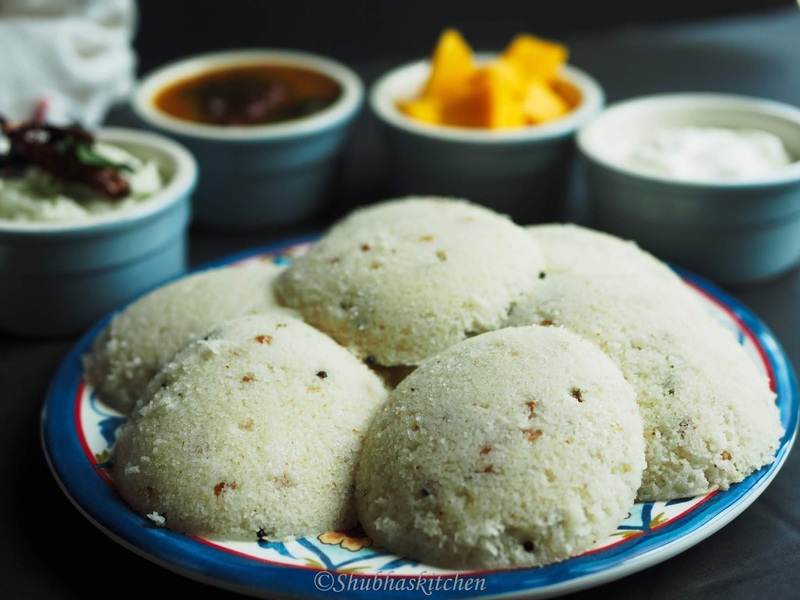 Instant rava idli is one of our most favorite breakfast or brunch items and is prepared often over the weekends. Since it doesn't require any fermenting, it can be prepared in a jiffy. I have prepared this idli today with the basic tadka or tempering. You can very well convert this into an elaborate one by adding shredded veggies like carrots and also cilantro/dhania. 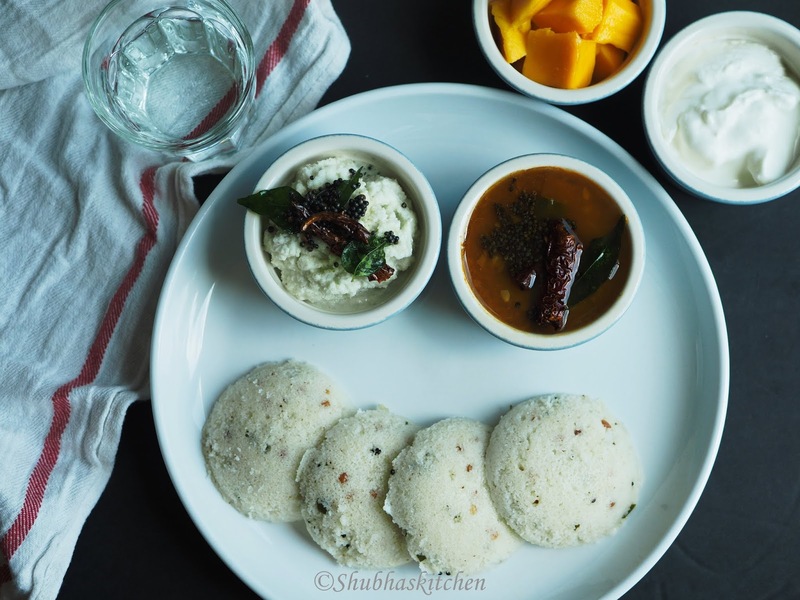 Although this idli can be steamed in a traditional pressure cooker (in this case , steam without the whistle on the lid), today, I will be explaining a method to use Instant pot for steaming the idlis. 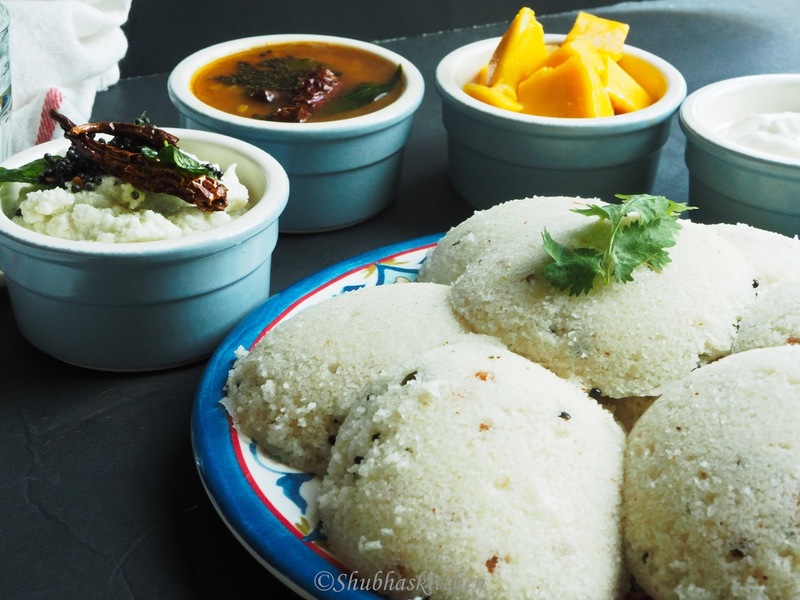 The same steaming process can be used for other types of idlis too. Grease the idli moulds. Add 1 3/4 cups of water to the steel pot of the instant pot. Heat the oil / ghee. Add mustard seeds and urad dal. When the seeds start to splutter, add the chopped curry leaves. Now add the semolina/ sooji / rava. Roast it in medium heat.When the semolina is nicely roasted, turn off the heat and set it aside to cool. Once the rava has cooled, add the whisked yogurt . Mix well. Add additional water as needed (I used about 3/4 cup of water) to make a batter that is not too thick and has a consistency like dosa batter. Add salt. Finally add the baking soda. Mix gently so that the soda mixes evenly throughout. (Remember to add the soda just before steaming the idlis). Start the instant pot in the "saute " mode. This is just to heat up the water. Once you see, the water has heated, turn off the Instant pot. Pour the batter into the greased moulds and place the moulds in the instant pot (Note : I could use only 3 trays of idli mould plates with my 6 quart Instant pot). Close the lid with the valve in the "venting" position. Press the "steam" button. One thing to note is , when you are using the steam option with the valve in the venting position, the timer of the instant pot will not work. Hence you will need to use an external timer ( example: microwave, oven etc)to keep a track of time. Once you see the steam coming out of the valve, steam for 12 minutes. Turn off the instant pot. You can check the readiness of the idli by inserting the toothpick. If at all they are still uncooked, steam for another 2 minutes. 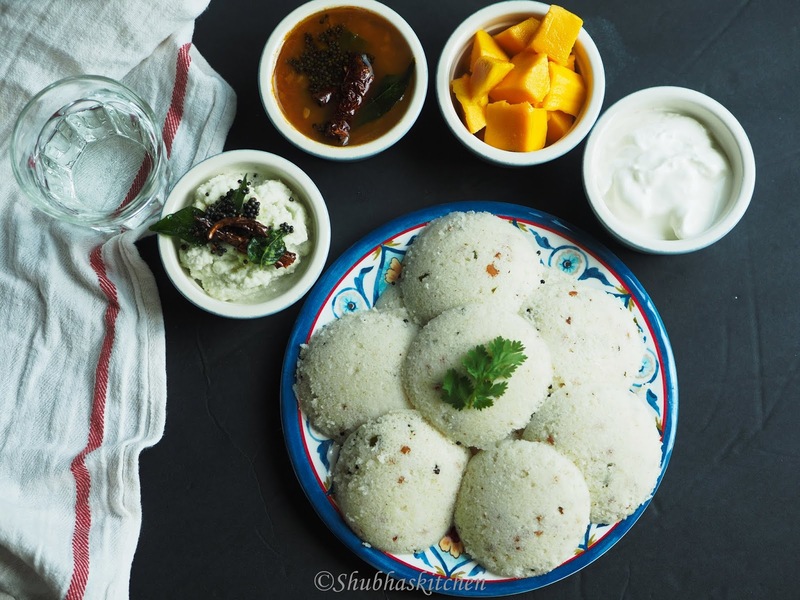 Instant rava idlis are ready to be served with a chutney and sambar of your choice. Once the rava is roasted and cooled, you can also add shredded carrots and cilantro to the rava and then add the yogurt. You can also add some chopped cashew nuts in the tempering. Steaming process can be done in the traditional cooker too. Remember , not to use the whistle while steaming. Instant Rava Idlies look superb Shubha.